A game between teams who have won the Euroleague will always be a big affair and given the level of passion for basketball in Kaunas, this could be a noisy and interesting night in the Zalgirio Arena. Both teams are on a 2-1 record so far this campaign so there is a chance to strike an early blow in the race to the Top 16. 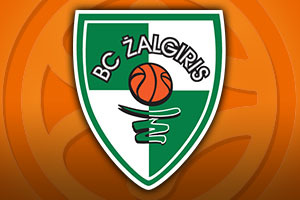 Zalgiris may have a terrible overall record against their opponents this week but that isn’t something that will impact on the players going into this game. Mantas Kalnietis will face a late fitness test but if he misses out, players like Lukas Lekavicius, Olivier Hanlan and Renaldas Seibutis should have more than enough about them to make an impact on this game. Paulius Jankunas has been in excellent form this season and he could well be a player that makes the difference going into this game. With Brock Motum and Ian Vougioukas being looked at to shut Barcelona down, we could be in for a strong contest on Friday night. Barcelona knows that they historically have the upper hand against Kaunas. They have won all of their 9 games in Kaunas and they have won 13 games in a row against their Friday night opponents. Barcelona’s overall record against Kaunas stands at 18-1, with the first matchup coming in the 1985 European Cup Winners Cup final. That’s all in the past though and the Catalan club will be looking for players like Justin Doellman and Stratos Perperoglou to get them over the line. Doellman has made his last 15 free throws in a row in the Euroleague while Perperoglou has notched 13 free throws in a row for the Catalan club. 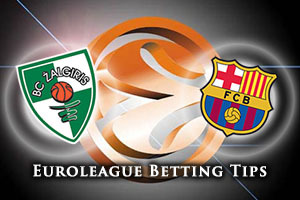 Barcelona are favourites for this game but taking Zalgiris Kaunas at +5, with odds of 1.90, is a reasonable bet for Friday. The Catalan club should win but it could well be a close game. For the Over/Under market, look to go OVER 146.5 at odds of 1.90. Bet Now!